When Karissa told me we were going to get to review a 2017 Toyota Tacoma TRD Pro (affectionately known for the week as “The Taco”), I’m pretty sure I literally squealed in excitement. After I found out that we were going to get to review it over Memorial weekend, I went into full on planning mode! Was I going to tow my 16 foot catamaran sailboat to Union Reservoir or head to Lake McConaughy for the weekend? Maybe we’d go get landscaping materials that wouldn’t fit well in the Subaru? Camping? Skiing? 4-Wheeling? It’s easy to see why Tacomas are so popular… not only do they look amazing, but they’re fantastically capable and open up a world of possibilities. 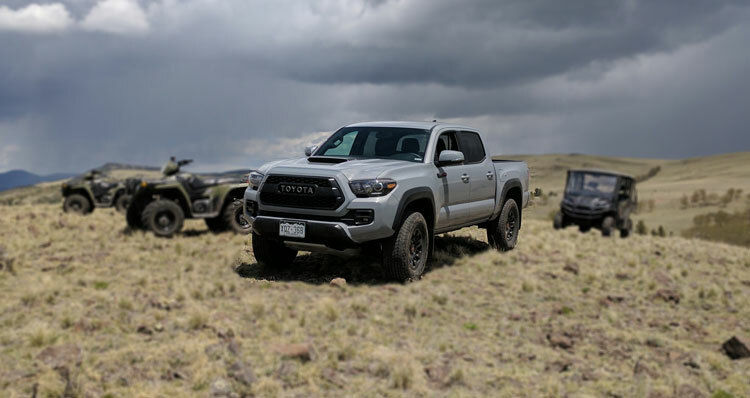 It’s no wonder Toyota’s slogan is “Let’s Go Places!” The question is only limited by “Where?” …in this case, we decided on heading down to the Cañon City, CO area and finding some places to go 4-wheeling! Before we could get there, I had to get through the week. I was toe-tapping under my desk for days!! That excitement was only fueled by how fun my commutes had become. My current daily driver is a 2011 Subaru WRX hatchback. 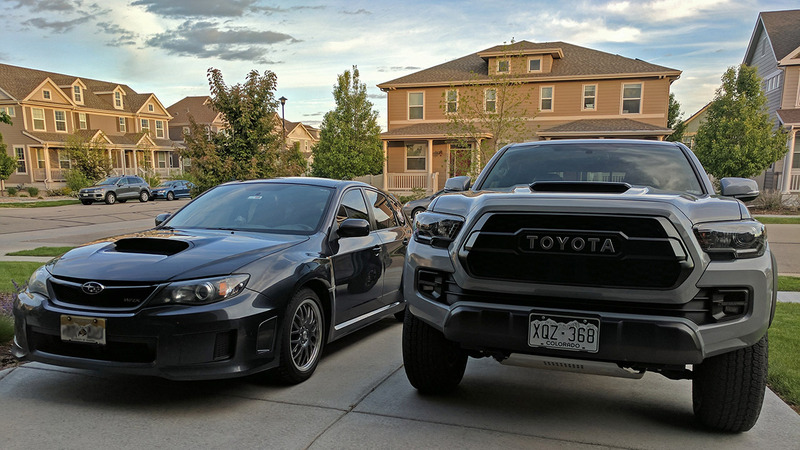 I love that car and commuting in it with its 5 speed manual is always fun but riding to and from work in the Taco was a completely different experience. Whereas my Subie feels like every inch of the dash is cheap-o plastic, the interior on the TRD Pro seems finished, solid, and well put together. There’s also way less road noise in the new Tacoma which was a pleasant surprise. I was initially nervous navigating the streets of Boulder in a truck but it quickly became second nature. It’s clear that the size of the Tacoma is about perfect for getting into and out of parking spots, driving down tight alleyways, and generally getting around the city. 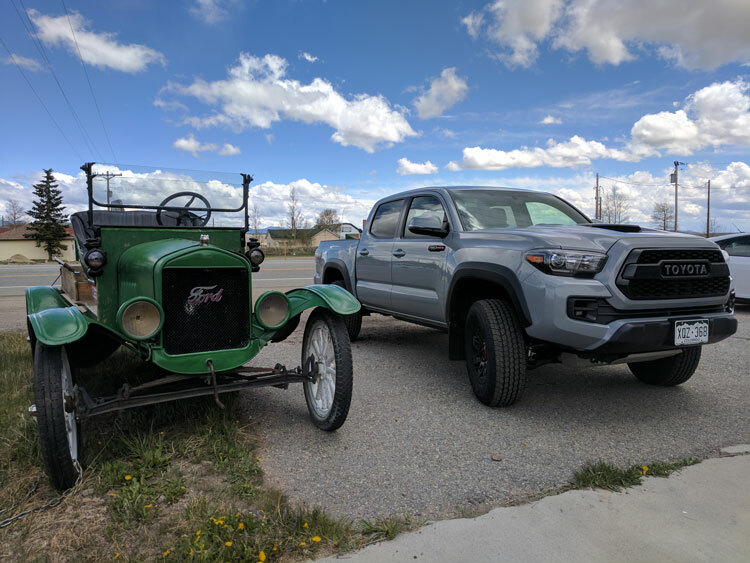 Of course that’s not what an incredibly capable TRD Pro Tacoma is built for, but as the majority of my driving will take me to the office, it was nice to know that my commute would still be a fun one. Our decided upon weekend destination was my Dad’s ranch which is just Northwest of Cañon City. 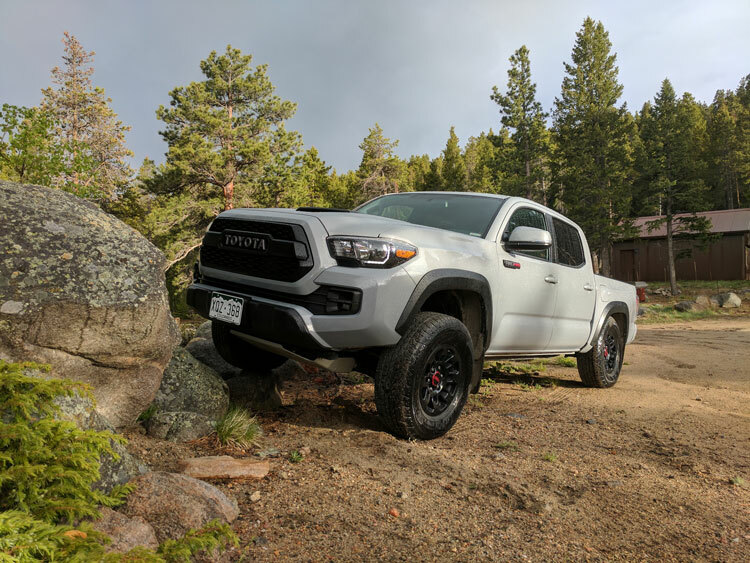 We figured taking Hwy-285 through the mountains to Fairplay, CO and then South on Hwy-9 would be a nice mountain drive that would give us a good feel for the 2017 Tacoma’s handling and prowess through all the curves and climbs that Colorado has to offer. For the most part, this truck excelled. The curves, bumps, cattle guards, and short climbs were nothing. The Taco ate it up and asked for more. The wife and I were constantly commenting to each other about how smooth, quiet, and comfortable the ride was! Car rides normally terrify our pup Daisy and on this ride she was well… slightly less terrified! #Winning. The only real gripe I had with driving this baby up in the mountains was that it seemed to want to hunt for gears as we drove over longer inclines at highway speeds. I tried using Sport mode but that didn’t seem to make a difference. I finally settled on leaving it in 3rd and that helped it chew through some of the highway segments with lots of elevation gain and plenty of twists and turns. The only negative thing I had heard about this truck going into the week was that the infotainment system (you know, stereo, nav, etc.) left something to be desired. I found that nothing could be further from the truth. 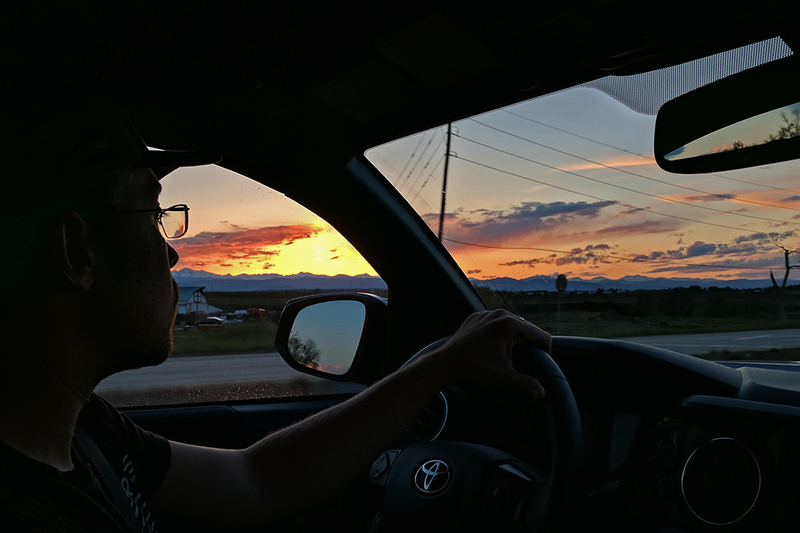 While Toyota could probably benefit from having Apple Carplay or Android Auto options, the system installed was more than adequate with easily navigated audio options, Bluetooth pairing, and navigation system. 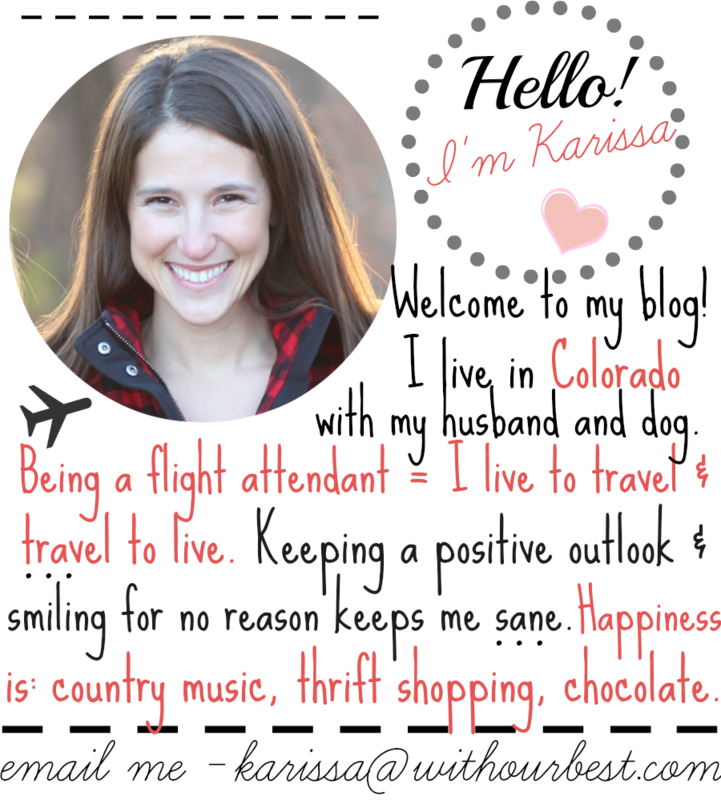 Call quality on the Bluetooth phone calls I made to Karissa were reported to be crystal clear! She didn’t even know I was in the truck at the time! We listened to the Sirius XM satellite radio and our paired phones the entire 3+ hour drive down to Cañon City… it all sounded wonderful. Music sounds much better in this Toyota Tacoma than it does in my WRX, that’s for sure! 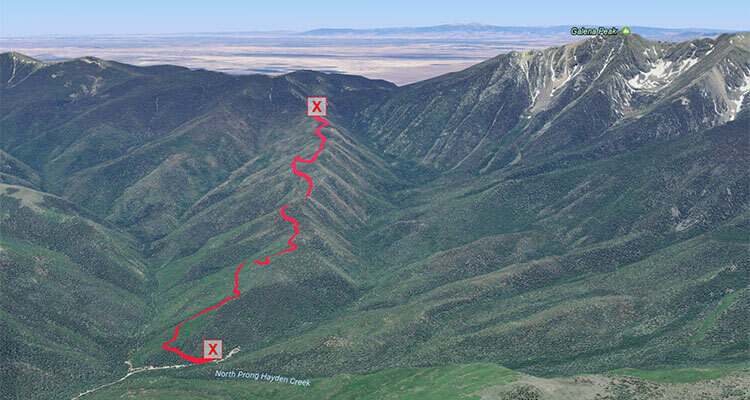 Earlier in the week, I had picked out a fairly gnarly 4WD trail up and over the Sangre de Cristo mountains. 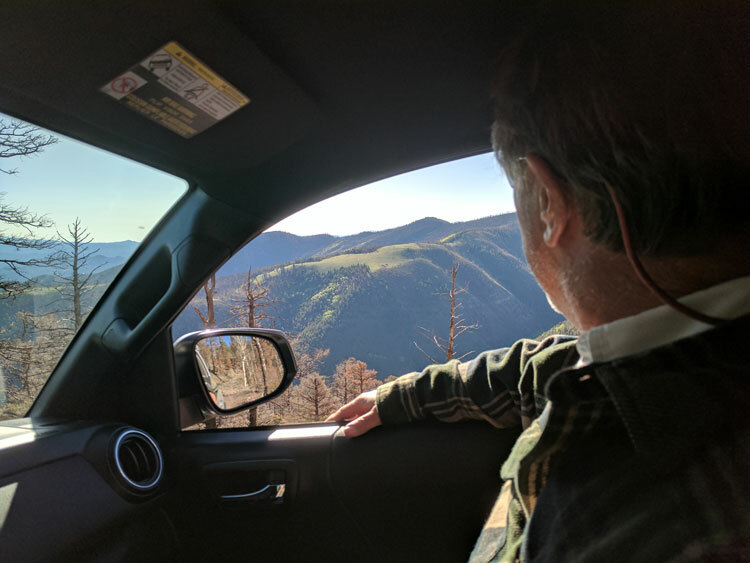 As soon as we got to the ranch, I was ready to jump back in the truck to test it out climbing up a fun, rocky, mountain pass. 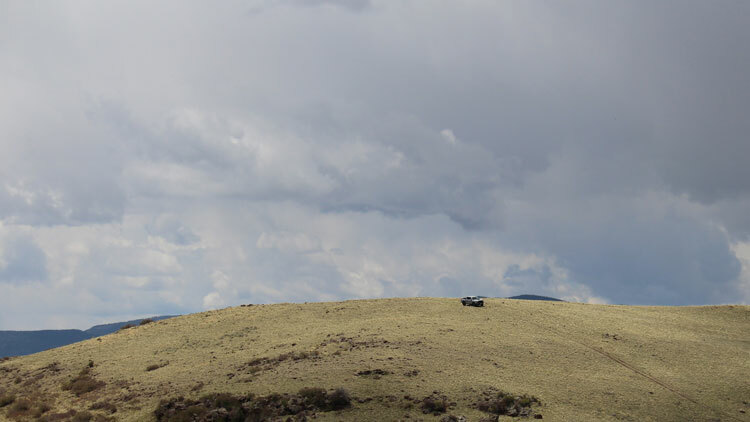 Early the next morning I conscripted my father to join me in my quest up Hayden Pass in the Northern Sangre de Cristos. What a blast we had! 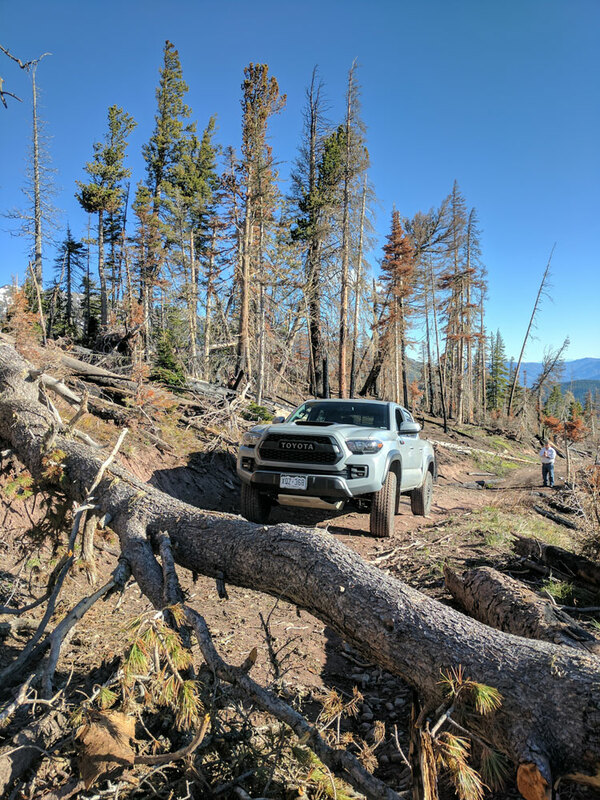 Putting the TRD Pro in 4-Lo and letting it climb up and over almost 2,500′ of rock, dirt, and stumps was, in a word, rad. I had spent a previous evening back home reading the Taco’s manual (much to my wife’s amusement) and was glad I had! You see, the 2017 Tacoma TRD Pro comes with “Crawl Control” available only in 4-Lo. This mode handles the acceleration and braking for you as the truck does its best tank impression and climbs up and over everything in front of it (Side Note: It should be called “Tank Mode”). While I first thought this to be quite gimmicky, it didn’t take but a few tests to realize that it could handle the technical ascents and descents better than I could. Check out the below video where I’ve got the truck in 4-Lo with Crawl Control enabled and I’m doing nothing but keeping it straight. I was having so much fun with it that I couldn’t help but throw out a super cheesy “shaka-brah!” What can I say? This baby’s fun. Unfortunately a fallen tree prevented us from making the summit because somebody forgot the chainsaw! Regardless, we had an incredible time testing out the Tacoma’s features and capability. I got the feeling it could handle a lot more than we threw at it and if it were mine, I would be chomping at the bit to give it another go on something more technical! This was as far as we could make it thanks to a large tree and no chainsaw! 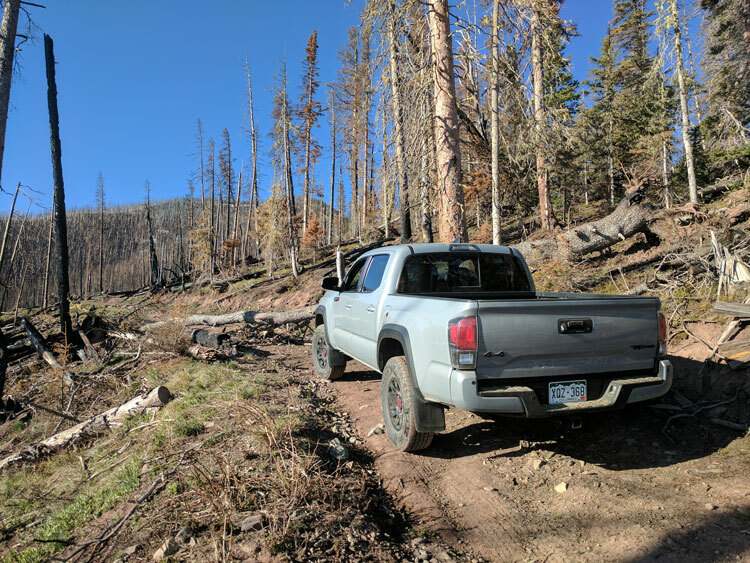 The Tacoma TRD Pro is 100% Trail Ready! 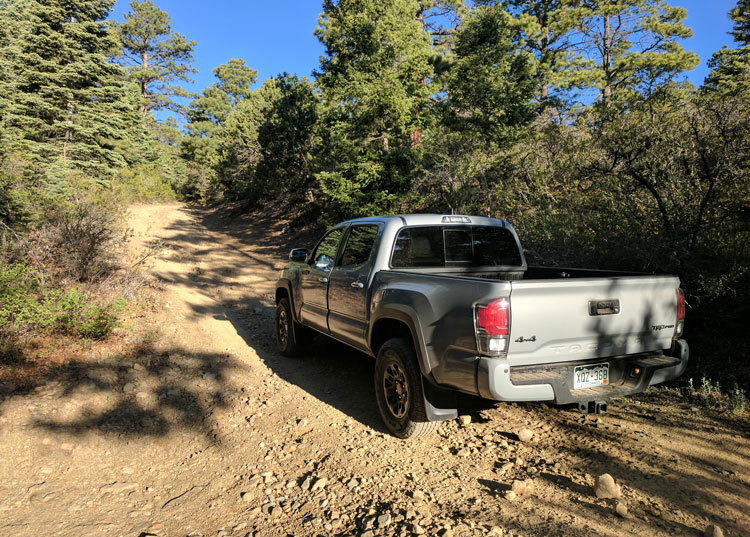 We didn’t quite make it all the way up, but the parts we did climb were super fun thanks to the Tacoma’s easy 4WD system! The Hayden Fire created an interesting landscape up there! Once we got back to the ranch I took folks on rides up and around the property which is usually toured only by ATVs. 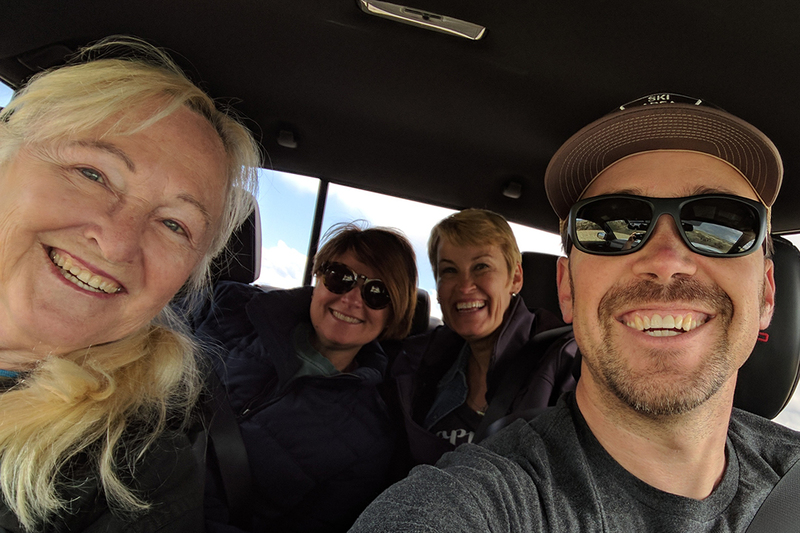 My mom, aunt, and great-aunt all had an amazing time riding in the super comfortable and spacious crew cab as we rode around some pretty fun 4WD trails. The Tacoma out in front, as it should be! Eventually though, playtime was over and we had to get back home to the Front Range. Before we did, we swiped a few 100lb+ rocks from the ranch to use as landscape materials for our suburban flower bed! Driving home with a few extra hundred pounds in the bed wasn’t even noticeable. 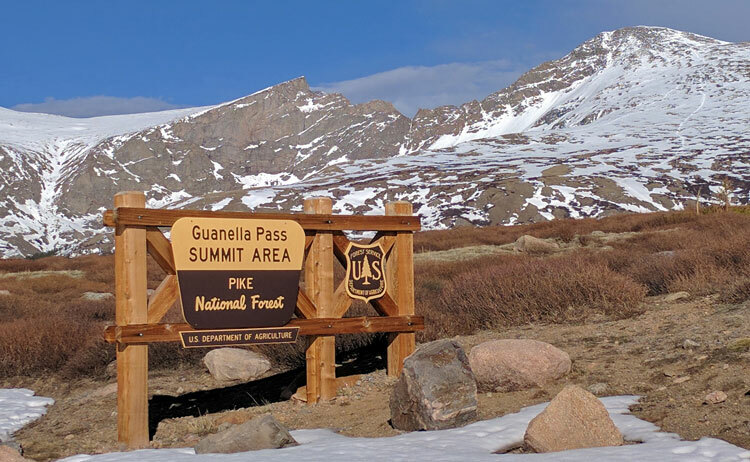 In fact, we decided that with the nice weather and amazing truck we’d take a detour up and over Guanella Pass. 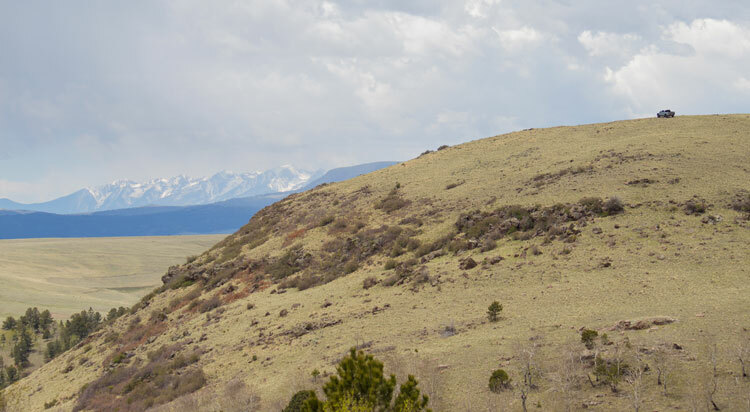 This stunning scenic drive connects the Colorado towns of Grant and Georgetown and provides breathtaking views of Mt Bierstadt and Square Top Mountain. 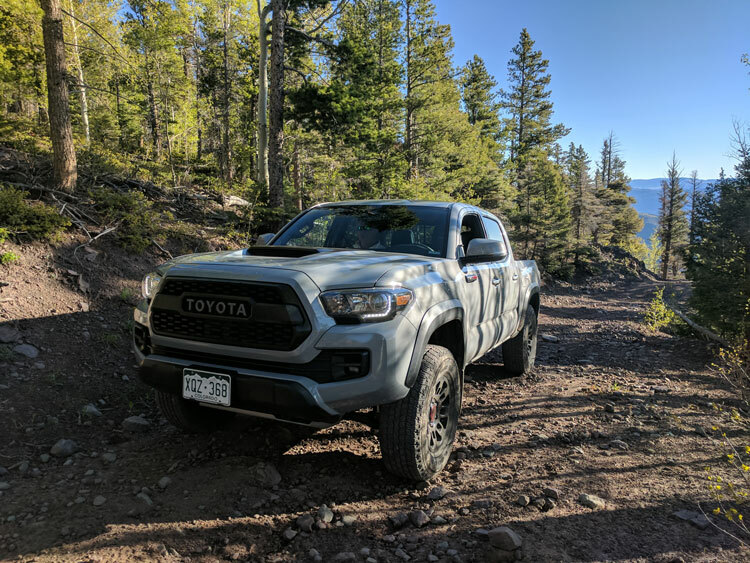 While not quite the rock crawling I had been doing all weekend, piloting the Toyota Tacoma up and over 11,600′ of Rocky Mountain awesomeness was thrilling in its own right. I absolutely forgot we were carrying three boulders in the bed! The Toyota Tacoma TRD Pro ate up everything we put in front of it! Looking solid up on “Mary Lou Mountain” at The Ranch! 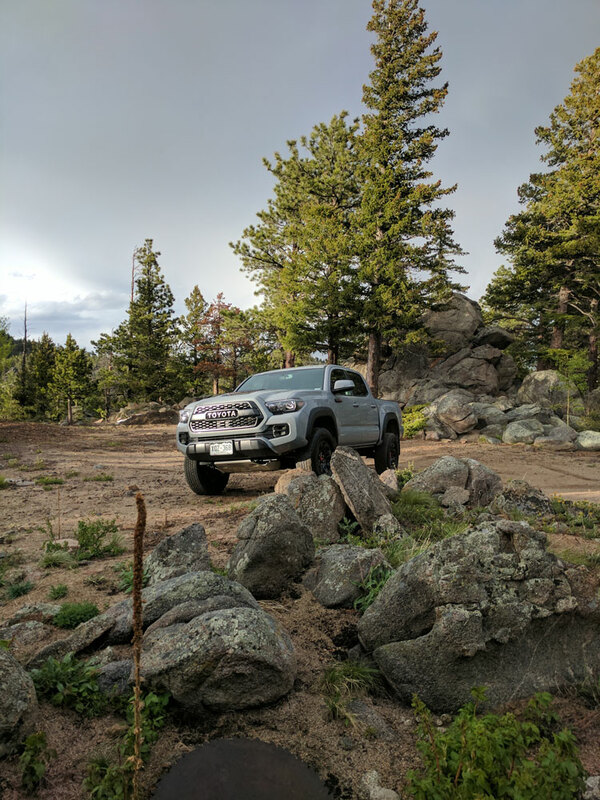 The Taco took us to some pretty amazing places this week! Gorgeous views from the Hayden Pass Trail. 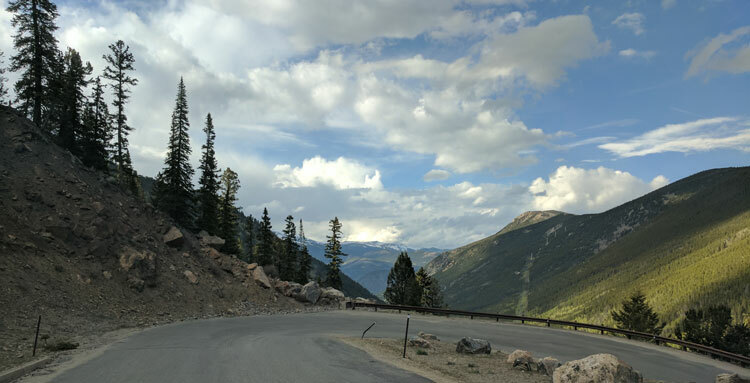 Enjoyed driving up and over Guanella Pass! 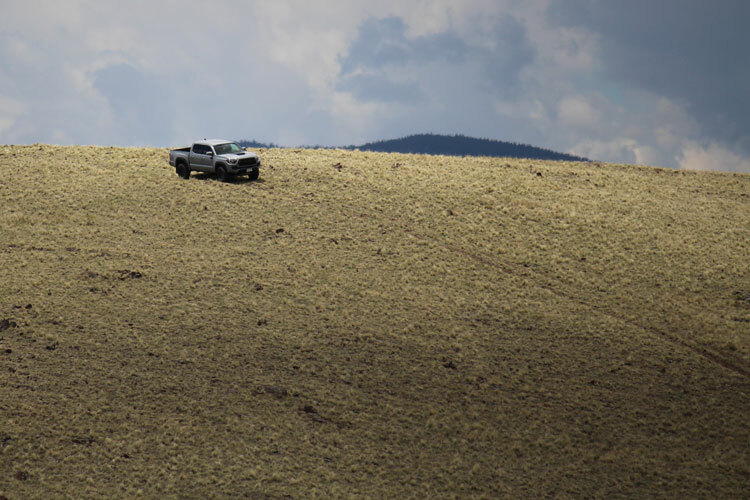 4-Wheeling or Highway Driving… I think the Toyota’s got the edge! Got the family loaded up for some off-roading around The Ranch. 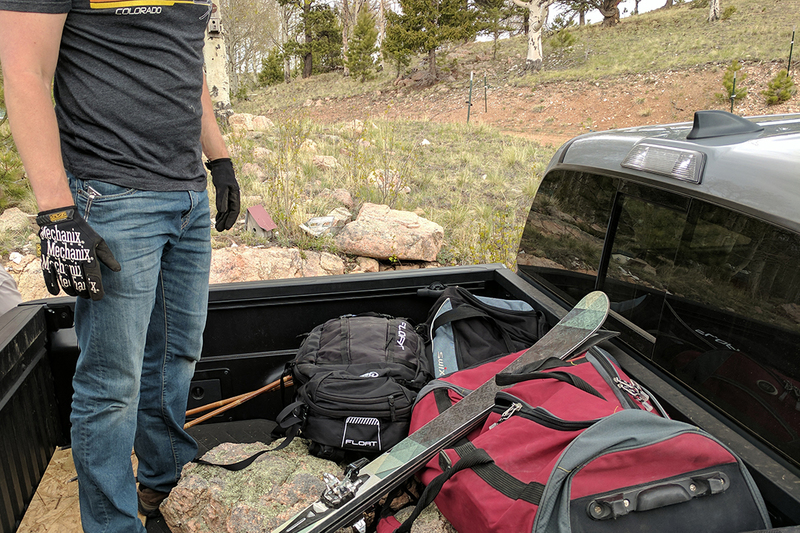 Plenty of room for hauling rocks, skis, and gear! Perfect ending to an amazing Memorial weekend with the 2017 Toyota Tacoma TRD Pro. After a quick dinner at a local Mexican joint in Georgetown, we cruised home. Fittingly, the last leg of our journey had us driving North as a stunning sunset painted reds and yellows across the cool spring sky. I’d be lying if I said I didn’t love this truck. It’s got top-of-the line styling paired with incredible off-road chops. It’s quiet but capable when you put it to work. If you’re in the market for a truck that will spirit you away on all sorts of amazing adventures, look no further than the 2017 Toyota Tacoma TRD Pro. Disclosure: We were sent the Toyota Tacoma TRD Pro to drive for a week in exchange for our honest opinion. It looks like you had an AMAZING time with the Toyota Tacoma! I have always wanted a truck. We have been looking into a Tacoma recently. We need something that we can take to the mountains but will also fit us all comfortably. Loved seeing this post. Just helped me lean toward the Tacoma even more! We’ve been talking about getting a pick up truck. The Tacoma sounds like a great one. It’s tough and it has Toyota reliability. Toyota puts out GREAT quality vehicles! I am loving this truck – it just looks BEEFY yet fun and stylish! Loving the shape of it! I would totally drive this! You did a great job reviewing this product with gorgeous photos. That truck looks perfect for my hubby! What a great review. Toyota is such a great brand. The Tacoma looks so cool and it’s perfect for my husband. My husband has a Tacoma, it is jacked up pretty high and he loves that thing. He is a Toyota man and will always be, he just loves his truck. This looks like it would be a fun ride! I have never driven a truck! Toyota was a great brand and this truck was really looks cool and I’m sure my husband would love to have this kind of car. My husband would love this truck. I don’t think I can drive it on a trail though, looks scary lol. I have always dreamed of owning a truck. 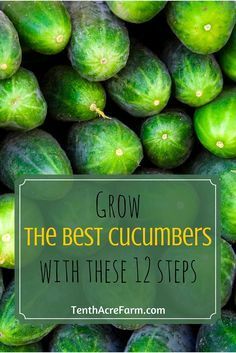 I had another kind in mind but after reading your experience with the Toyota Tacoma, I think this will also be put into consideration if and when I decide to get a truck! This sounds like an amazing truck. I have heard that the Toyota line is amazing. I can’t imagine what the tundra could do since the Tacoma isn’t even their full size truck. I think it would be fun to own a truck. I haven’t ever had one. This is such a great looking vehicle. We had one as a loaner when our car was being repaired. It was heaven to drive! Toyota is such a great brand. It’s one of the strongest cars because they’re soo long lasting. Oh my gosh! So lucky! I bet that must have been fun driving that. I miss my truck! Now I want one again. I’d love to have a truck like this in the future! Toyota is definitely a tried and true brand when it comes to reliable and quality vehicles. My husband would love this for hauling stuff since most things he needs for a project cant fit in our outback. Looks nice too! Wow that seems to be a really rad ride. We’re not too much into 4wd or offroading or probably have any use for a truck per se but this definitely seems to a beats we would love to ride given a chance. I love the Toyota brand of vehicles. That looks like an awesome truck!